Resurfacing of speed ramps Phibsborough Road. In November we undertook a photographic survey of the area. The aspects of this survey that highlighted issues in the public domain, streets, footpaths, street lamps etc. were submitted to the Dublin City Council Programme of Works committee, for consideration. In response the Roads Department of the Council resurfaced the speed ramps that branch off from the Phibsborough Road onto side roads and painted some of the street lamps. 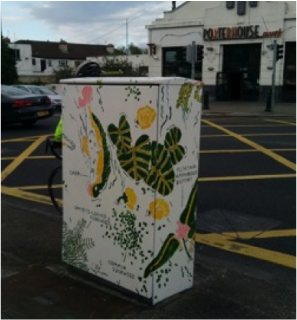 Phibsboro’ Village Tidy Towns made a successful submission to Dublin City Council for the traffic light box art works for the box at Crossguns Bridge. We invited a local artist to undertake this work. It illustrates the diversity of local fauna and flora of the canal. This is both educational and decorative. The monthly Clean-ups removes litter and raises awareness. 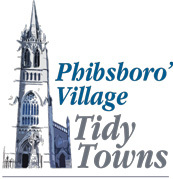 The Phibsboro’ Village Tidy Towns logo on blue high visibility jackets are used for safety purposes and to increase awareness. We have had six Clean-ups so far. The initial four clean-ups brought on average 15 people out to clean. 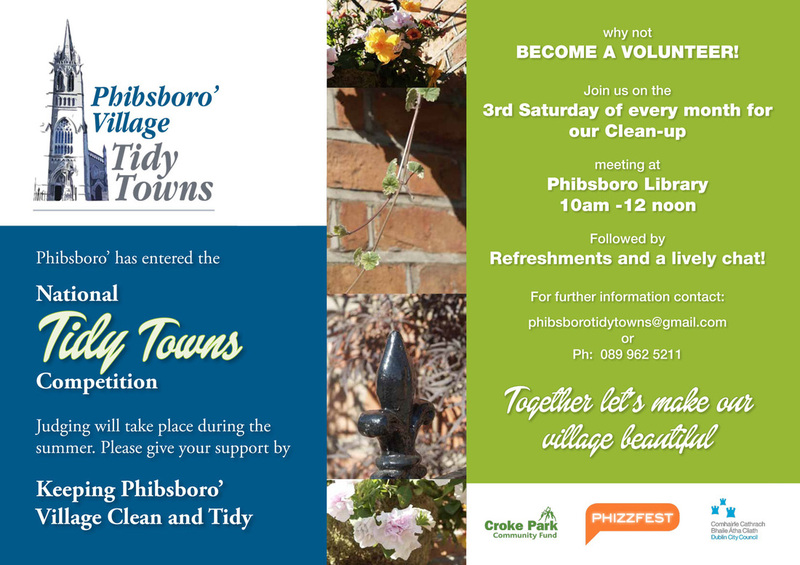 The fifth Clean-up was in the morning of the Launch of Phibsboro’ Village Tidy Towns, and we had 35 volunteers.